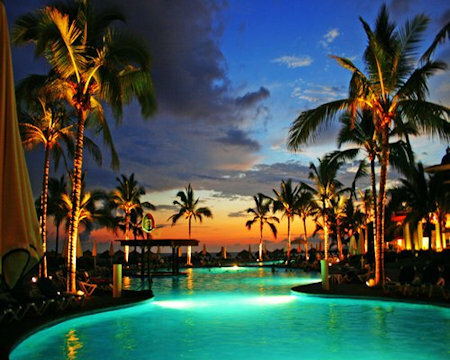 Enjoy a Week at the Mayan Sea Garden Nuevo Vallarta in Mexico! Mayan Sea Garden Nuevo Vallarta in Nuevo Vallarta Mexico! 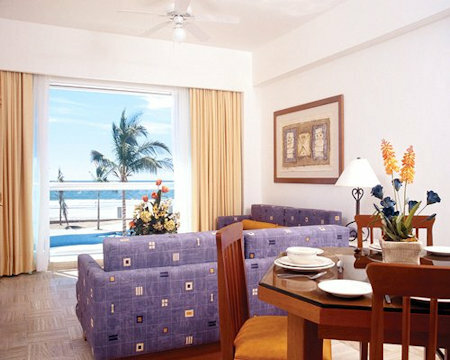 - Buy a 7 Night Stay in a Studio or 1 Bedroom Suite! at the Mayan Sea Garden Nuevo Vallarta in Mexico! 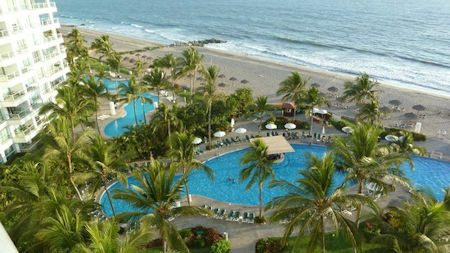 Set on the Banderas Bay, the resort is surrounded by golden sands and beautiful Pacific tides. Stroll the two-and-a-half-mile-long beach, explore tropical gardens and waterfalls throughout the grounds or lounge by the sparkling swimming pool while your children enjoy daily planned activities. When it’s time to hit the links, you are steps from the onsite 18-hole, par-71 oceanfront course, between the mountains of Western Sierra Madre and Banderas Bay. Satisfy your mealtime cravings with world-class dining in casual settings, and enjoy your favorite cocktail at your choice of bars. 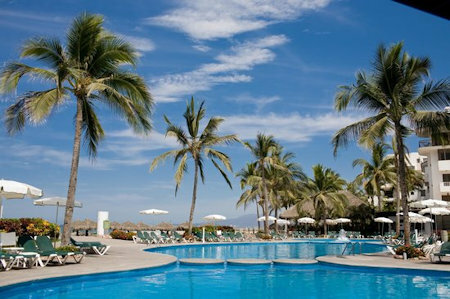 With just under 4 miles of beautiful beaches, Nuevo Vallarta is a paradise for sun lovers and ideal for water sports. This region is full of palm trees and lush tropical foliage. You will also find a zoo, a dolphin aquarium, and lots of fun for the whole family. Visit the nearby town of Puerto Vallarta and stroll through craft markets, or go to Sayulita (19.4 miles) and surf the Mexican waves in whale watching season. 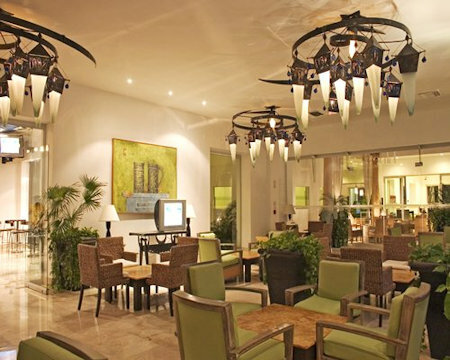 If you're hungry, you'll find authentic Mexican cuisine as well as international, in a wide variety of restaurants throughout Nuevo Vallarta. Rooms include: Bathroom, Shower, Hair dryer, Air conditioning, Cable TV, Fan, Phone with voice mail, Purified Water, Iron and ironing board, Safe and 2 double beds. OR UPGRADE TO A 1 BEDROOM SUITE FOR ONLY $225 FOR THE ENTIRE WEEK! 1 Bedroom Suite: Sleeps up to 5 guests and has a partial kitchen.